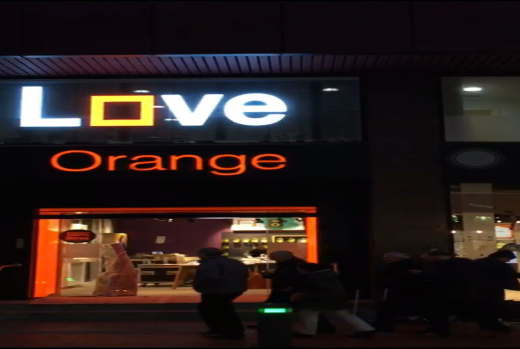 As the UK and France's largest mobile operator Orange, in 1996 the company officially listed on the London Stock Exchange, and in the same year on April 2 officially landed the Nasdaq Stock Exchange, the total assets has reached 8.4 billion . In July 1997, the company's customers have reached 1 million, becoming the company's history, an extraordinary milestone. 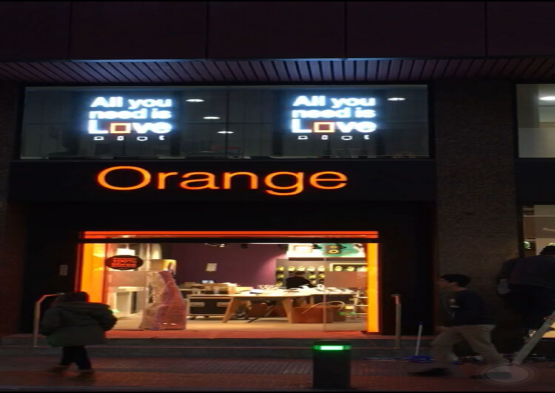 The same for the country's largest LED transparent screen R & D and production as one of the manufacturers ---- LED-HERO, this and Orange in Barcelona, Spain, orange-based orange color logo, and Herno's logo is so Amazing coordination, through the LED-HERO LED transparent screen of the perfect presentation, showing its warm, charming side. Strong combination to create out of the horizon is how to show its unique charm? After Rolls-Royce and BMW, Orange is the one of cooperator of LED-HERO, which proved that LED-HERO products with ultra-transparent, ultra-high definition, ultra-highlight the advantages and ultra-avant-garde design and structure, Not only in the domestic industry which shine, to a foreign country is like a duck to water, so that China-made perfect blooming in a foreign country.